Jacob Shaffer was born in 1783 and lived his entire life in Wythe County. He married Catherine Bishop in 1802 and had 11 children. He died in Wythe County in 1874. Son’s James and Jacob remained in Wythe County as farmers but may have also, learned gunsmithing. Jacob may have learned his trade from Abraham Honaker because of their close proximity and similarity in rifle style. 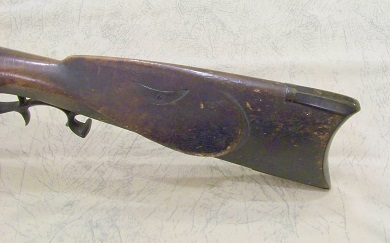 This example is a large barreled rifle that shows signs of use in match shooting, though it was also used as a hunting rifle. 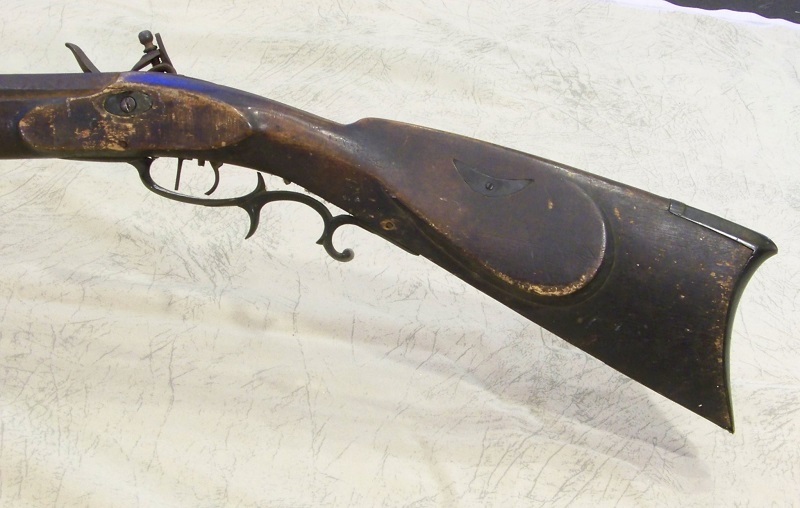 Jacob decorated this rifle sparsely; he used his typical intricately cast trigger guard, elongated tail rear ramrod pipe, and pleasing stock architecture. The original lock was never converted to percussion. We find the flintlock mechanism used well into the percussion period in areas like SW Virginia and eastern Tennessee. The surface condition of this rifle is untouched. 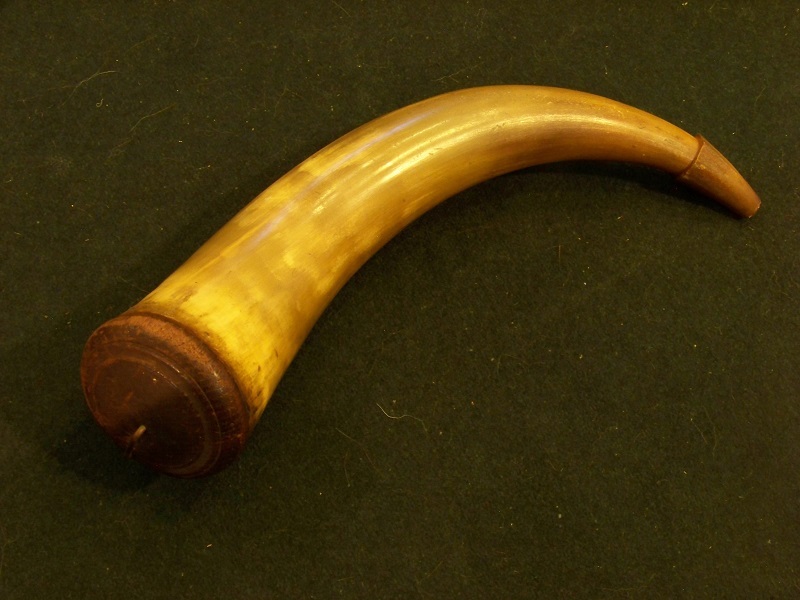 No one has cleaned or refinished the stock or polished the brass mounts. It should remain this way. 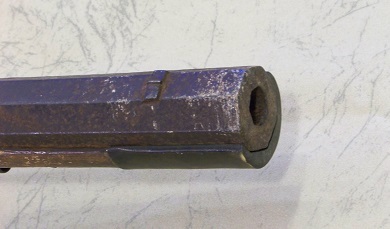 The barrel is the original length, 45 & 1/2 inches X 1 & 1/4 inches and retains deep rifling (58 cal). The rear sight was moved back and unfortunately placed in the location of Jacob’s signature. The J and a portion of the wavy line at the end of his signature remain. 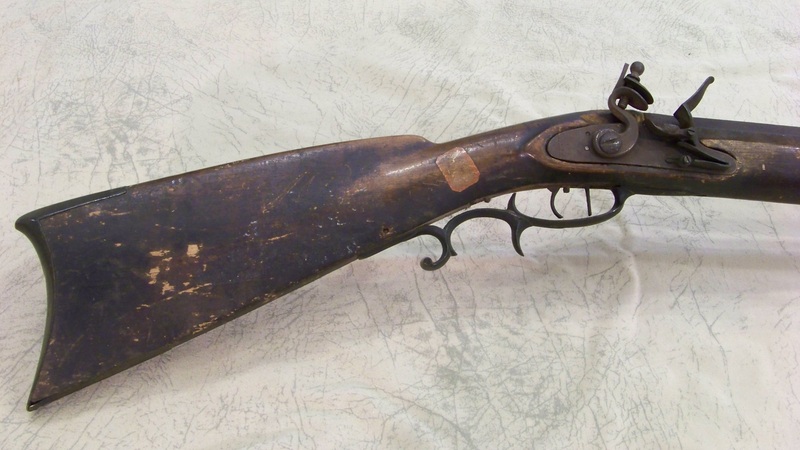 The price reflects the rarity, condition, quality, and desirablility of this rifle. Sold in 2013 and recently re-acquired. 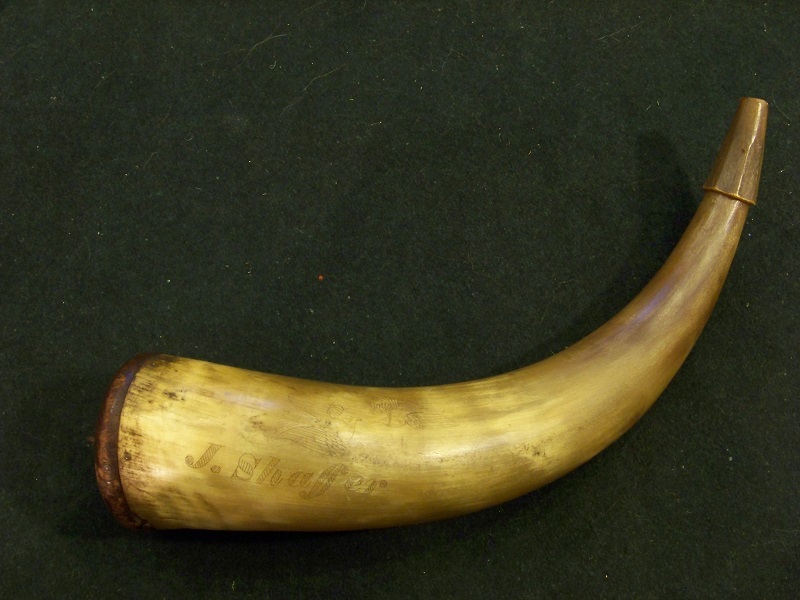 Together with a Virginia powder horn of the same era signed “J Shaffer”.